Pedro Pinho has lived in and studied cinema in Lisbon, Paris, Barcelona, Maputo and Mindelo. His first documentary, Bab Sebta (co-directed with Frederico Lobo), debuted at FID Marseille, 2008, where it won the Marseille Espérance Award. Bab Sebta also won prizes for Best Documentary Film at DocLisboa (Portugal) and at ForumDoc BH (Brazil). Um Fim Do Mundo/The End of the World, a medium-length fiction film, debuted at the Berlin Festival in 2013, having won awards at the Coimbra Caminhos do Cinema Português, and was nominated for the Portuguese Golden Globe awards. The documentary, As Cidades e as Trocas/Trading Cities (co-directed with Luisa Homem) debuted in 2014 at FID Marseille, and was shown at the Art of The Real in the Lincoln Center, NY and at DocLisboa. In 2017, he debuted A Fábrica de Nada/The Nothing Factory, his first feature-length fiction film, at the Cannes Festival Directors’ Fortnight where he won the FIPRESCI International Critics award. Since then, A Fábrica de Nada has received around 20 awards at festivals all over the world. Not only was it chosen by the critics as the best film at Cannes in 2017, it was also considered the best film of the year by the Público newspaper, and the best film without commercial distribution in the USA by the American magazine, Film Comment. The German newspaper, Die Zeit considered it to be “one of the most important films of today”. A Fábrica de Nada was commercially distributed in Portugal, France, Spain, Germany, Brazil, Switzerland, the United Kingdom, Italy, China, Belgium, the former Yugoslavia and Argentina. His films have been shown at festivals, showings and retrospectives in places such as: MoMA, the Lincoln Center, the Berlinale, BFI, the MALBA, the MACBA, Serralves, FIDMarseille, Toronto IFF, Rotterdam FF, CPH DOX, the Rio Festival, Mar del Plata, Festival de Popoli, Busan FF, FICUNAM, ND/NF, Cine Europeu de Sevilha. L’Alternativa de Barcelona, Festival de Munique, Festival de Taipé, Janela, Carbonia, Lussas, FIC Valdivia, Karlovy Vary, FoR, among others. 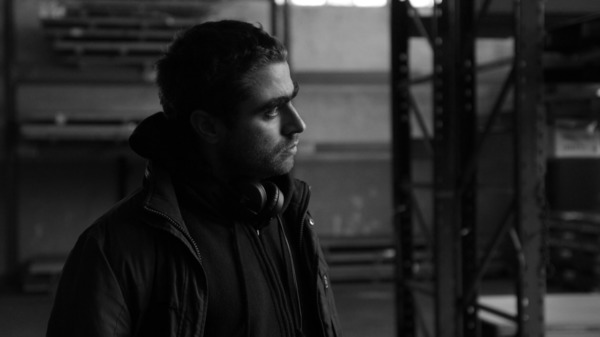 In 2009, with five fellow filmmakers, he founded Terratreme, a collective that in recent years has come to the forefront as one of the most active producers of Portuguese cinema. At Terratreme, he has had the chance to collaborate with other directors such as Luisa Homem, Leonor Noivo, Tiago Hespanha, Susana Nobre, João Salaviza, Filipa Reis and Miller Guerra, and Basil da Cunha.